We all are aware of the many amazing benefits that hemp and CBD have for the human body and for the planet. But did you know that hemp products can even benefit pets? That's because all mammals have the same endocannabinoid system as humans, meaning that your pet at home can receive CBD's same balancing effects that you enjoy from Kannaway's most popular products. 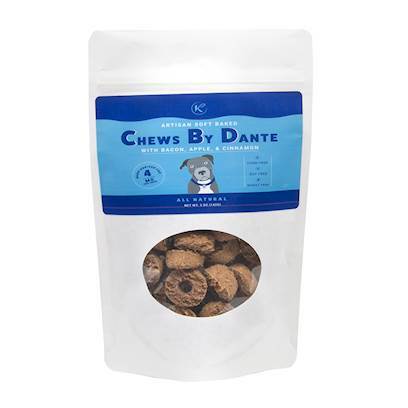 Kannaway has officially launched our Chews by Dante CBD-infused pet treats. Kannaway's new hemp oil dog treats provide your pets with a daily use CBD supplement that works to promote overall health. Featuring natural bacon and apple ingredients, Chews by Dante artisanally-baked pet treats are infused with 4 mg of CBD per chew. Crafted free of corn, wheat, and soy with a delicious bacon, apple, and cinnamon taste, our soft, all-natural pet treats can be given to your pet daily to help support wellness. Like you, your pet has an endocannabinoid system that is responsible for maintaining homeostasis within the body. CBD interacts with the endocannabinoid system's receptors, encouraging proper bodily function. Chews by Dante contain 4 mg of CBD in each soft chew to promote cardiovascular function, support healthy joints, and promote neurological health and emotional behavior. Kannaway worked closely with leading veterinarians and CBD experts to formulate a line of delicious, straight-from-nature supplements that are beneficial for your pet's wellbeing. Safe use in pregnant animals or animals intended for breeding has not been proven. If animal's conditions worsens or does not improve, stop product administration and consult your veterinarian. Federal law prohibits the off-label use of this product in ruminants. ANIMAL USE ONLY. Do not use if seal is broken. In case of accidental overdose contact health professionals immediately. Keep out of reach of children and animals. 1-2 Chews per day for small pets 20lbs and smaller, 2-3 chews per day for pets 20-30lbs, 3-4 chews per day for pets 30lbs and over.